Overall quality: Very good. All leather with a slightly padded footbed. I’m not a huge fan of the stacked wood heels, but there are pairs with a covered heel, too. My only small gripes are the seam on the inside of the foot and the light colored sole. Comfort: I bought these tts (6) and they fit comfortably. I can wear them all day if I get the chance to sit intermittently. 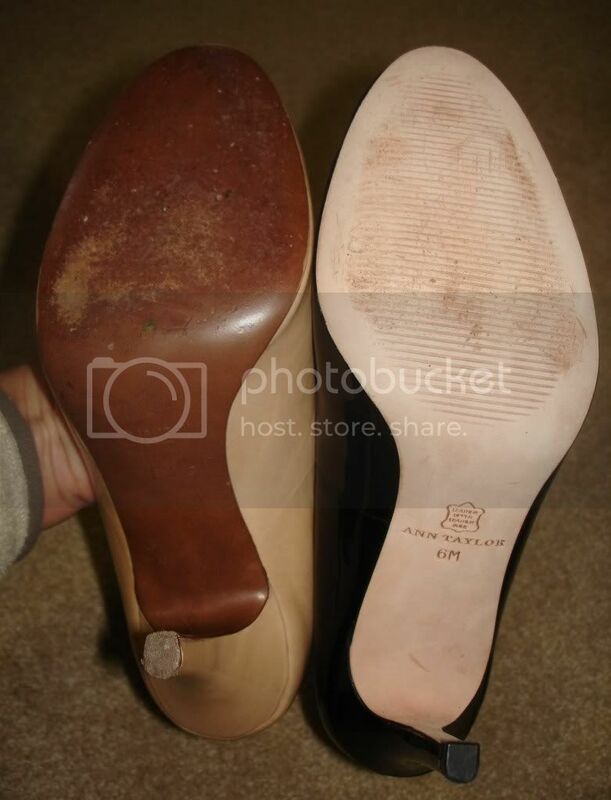 If I end up standing for too long, the balls of my feet get very sore, as the shoes have very little padding. I have gotten blisters from a few of the pairs when I first wore them, but now they’re fine. Style: Pretty classic. I love the round toe, which allows a little toe cleavage. The 3.25″ heel is tall enough to add some height, but short enough to be work appropriate. Colors: Only comes in a few colors, mostly neutrals. Price: Very affordable on sale. They are $158+ originally, but Ann Taylor frequently has 40% off sales that are stackable with other codes + 2.5% back from Ebates. For my pairs I paid around $70. Overall quality: Excellent. Leather upper with man-made lining and sole (I dont have a problem with this). 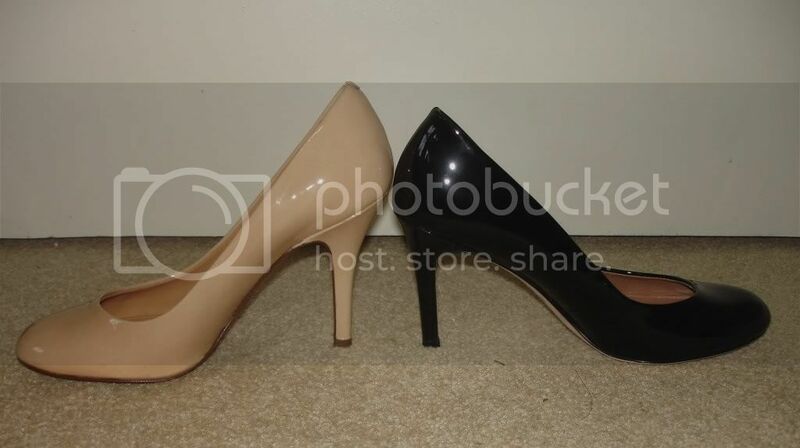 These dont have any seams like the AT pumps, and all the heels are covered. 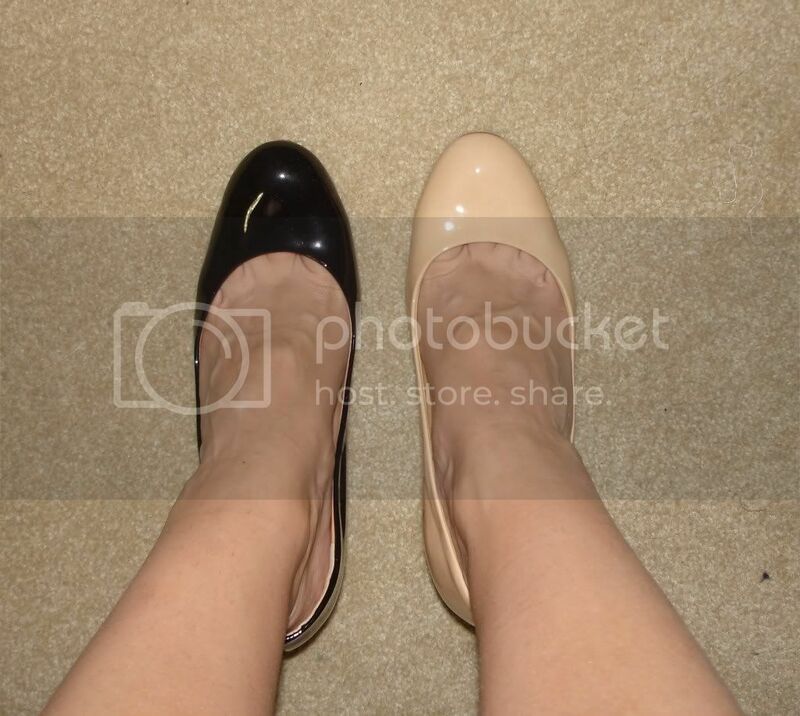 Comfort: The patent pumps fit perfectly. They were comfy right out of the box. No blisters, no rubbing. Strickingly easy to walk in, despite the 3.75″ heel. 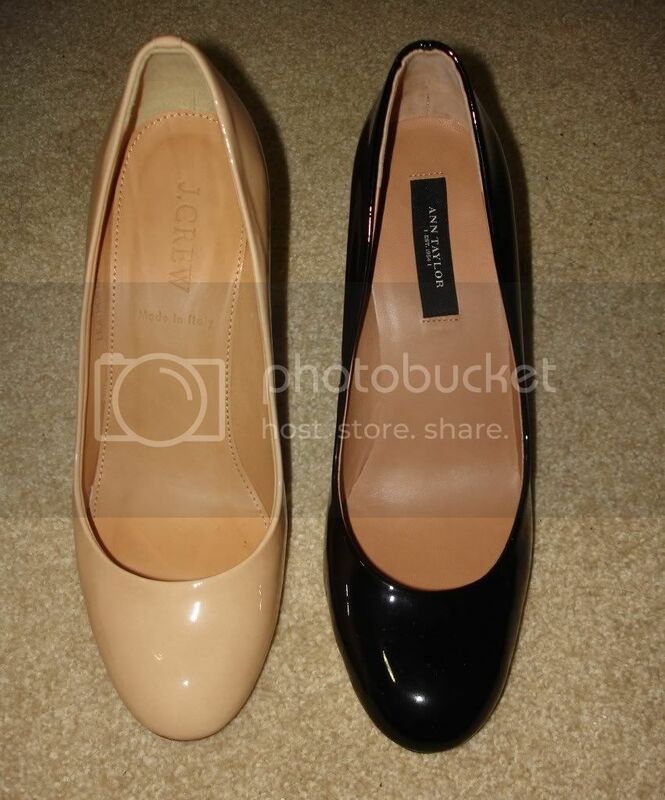 Note that the fit is different for the suede/ leather pumps vs. the patent (more on this in an upcoming review). Style: Lovely!! They’re similar to AT, but a little higher. The toe box is also cut slightly differently. These give a sleeker look compared to the AT pumps. Available sizes: 5-11, runs a bit small (better for smaller-footed ladies). Size up if you’re between sizes. Colors: Amazing. This is where J. Crew’s pumps outshine Ann Taylors. Colors like pale peacock are gorgeous and can really add spice to an outfit. Price: These are over-priced, like most of J. Crew’s items. They are around $198+ originally, and I got them for 25% off + 4% back from Ebates, bringing them to about $145. 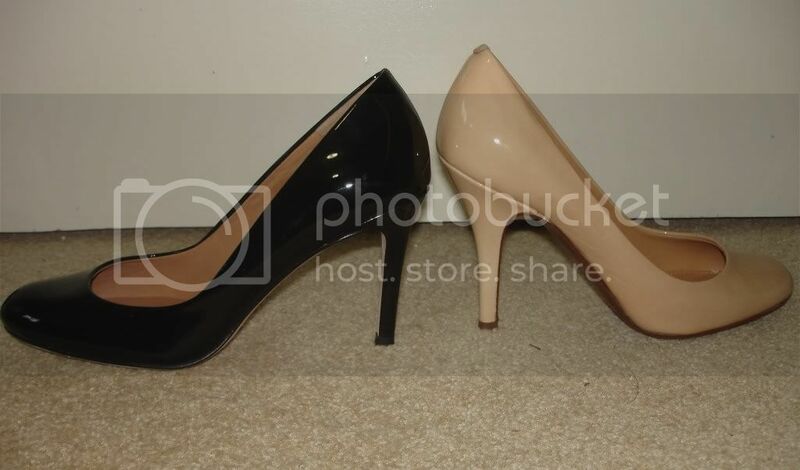 Summary: I’ll still wear my Ann Taylor pumps on a regular basis. 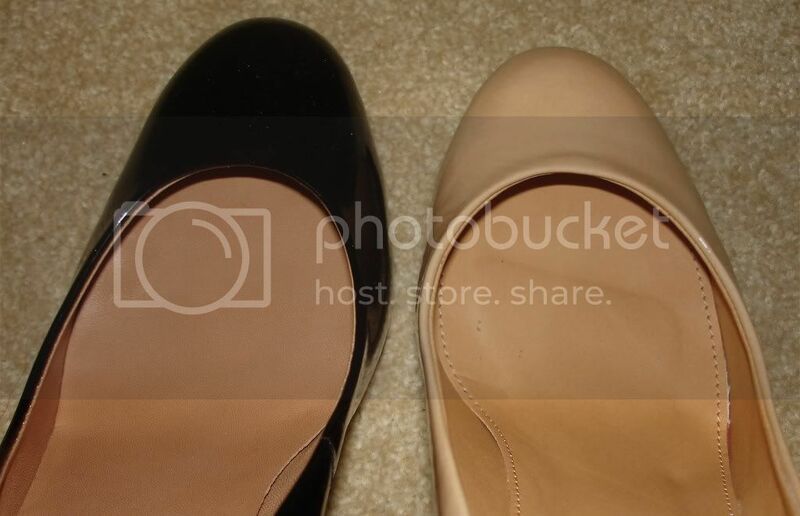 They’re a great option for a basic black pump, or other neutrals (I have pumice stone and some metallics). However, I’m planning on adding some of J. Crew’s beautiful colored Mona pumps to my collection (getting the “poppy” color next!!). Hopefully these go on sale sometime!